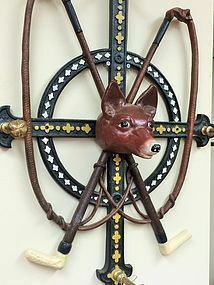 Wonderful old fox hunting motif whip rack. Painted metal, solid brass hooks, iron fox head. Measures 28" tall by 22" wide and 5" deep.